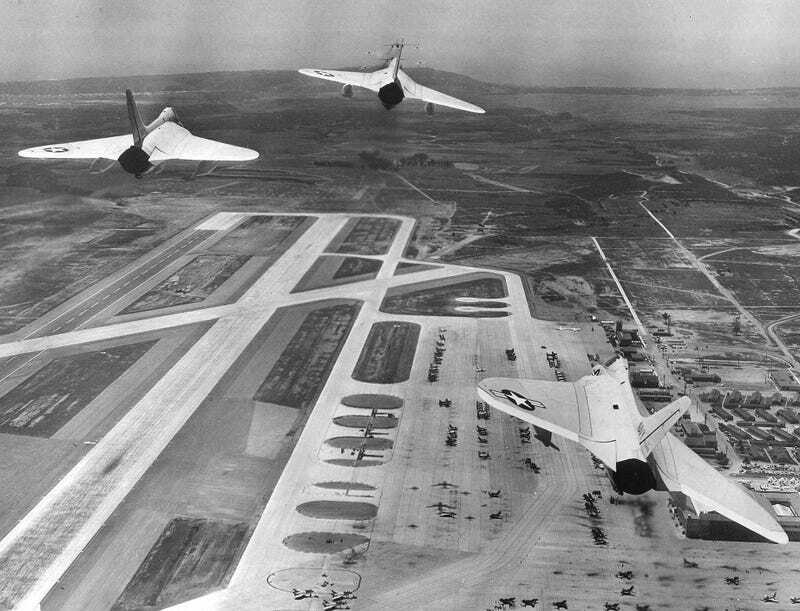 U.S. Navy Douglas F4D-1 Skyrays of Fighter Squadron 74 (VF-74) “Be-Devilers” during a fly over of Naval Air Station Miramar, California, on 14 May 1956. It’s Friday, Oppo, so let’s get flying into the weekend. Any big plans? I get to drive a Ferrari on Saturday morning for the first time in my life. Details on Monday. Bonus useless information: The F4D Skyray was affectionately known as the Ford.